Our school motto is “Attitude is Everything!” and this is the work ethos that we instil in our students, which is one of the reasons our students are highly sought after by top chefs. Our graduates are capable, confident young chefs who are practised in their art and find success based on their can-do attitude. 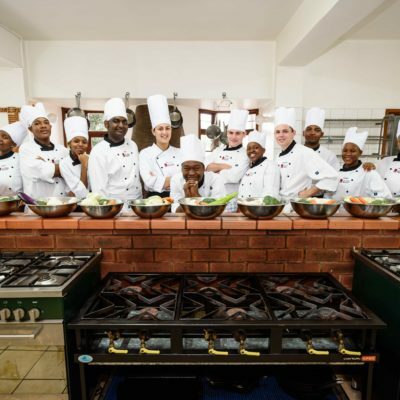 Set in the beautiful Valley of 1000 Hills in KwaZulu-Natal, less than 40kms from Durban, 1000 Hills Chef School is an exclusive chef training school that offers full-time career training to passionate young chefs. 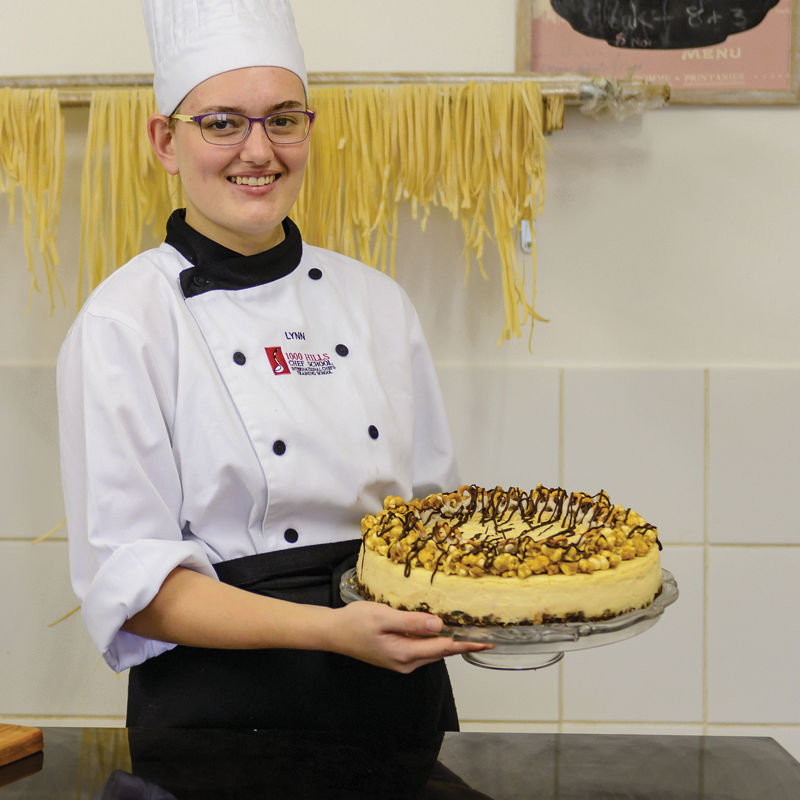 Established in 2004, our school has a winning reputation in industry, owing to our success in national competitions and the hands-on skills our students bring to the world’s kitchens on graduating. We strive for excellence and our success as a school is completely driven by a dedicated commitment to making our students the best that they can be. I graduated in 2012 with flying colours. In fact, our whole year did. 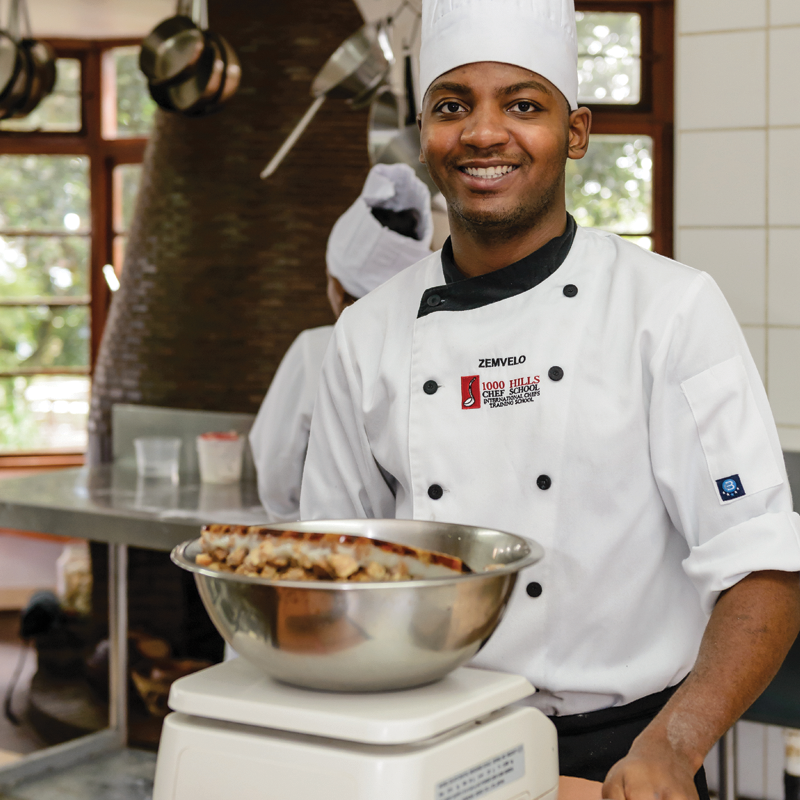 It’s true that 1000 Hills Chef School is one of, if not the highest achieving culinary school in South Africa. Looking back now, with 6 years in the industry, every piece of advice, every skill set we were taught, has contributed to the able professional I am today. The beauty of the chef school (apart from the stunning location), is its hands-on view of cooking. 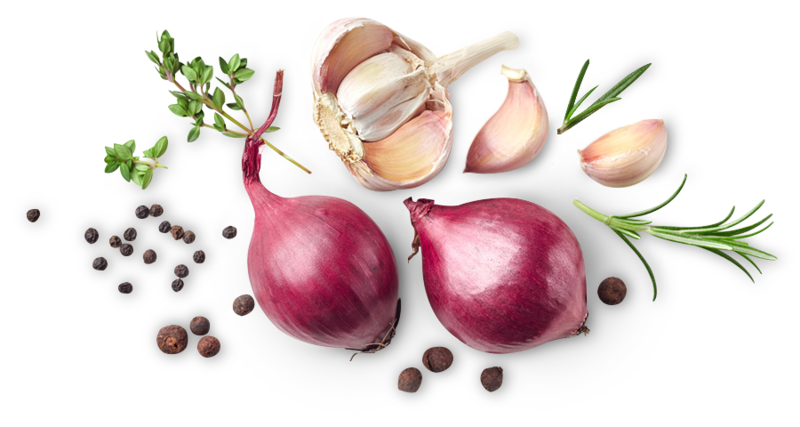 We are given all the tools we need to walk into a professional kitchen at the end of our stay and be proactive. No matter what your skill level, your prior academic achievements, or even your goal when graduation comes, each student is prepared for their future. The extramural work placements, the competitions, the total immersion into hospitality every weekend at the school restaurant and the Fine Dining tasting menus every month keeps you busy, inspired and driven. 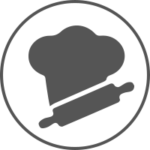 Chef Jade and her lecturers are pragmatic, exceedingly able, and thoroughly motivated; they are also, despite their allure, very approachable, understanding individuals. I graduated from 1000 Hills Chef School in December 2017. In the 10 months that I have been out of the Chef School, I have worked in a very well established restaurant - The Chefs Table in Umhlanga where I worked under top chefs! I was then offered a job in Howick at a new restaurant called Menu At Highgate. NOW I have been given an opportunity to do more training overseas at a place called Gasparilla Inn and Club in Florida, USA. I would like to thank all the chefs that have contributed towards my career; Chef Dixi, Chef Jade, Chef Sam, Chef Shaista, and Chef Kayla. I would also like to thank the school's management for everything they have done for me. I would recommend this school to anyone who wants to get quality education and be trained by the best chefs. Dear Chef Dixi. Just a short note to tell you that Melissa and her food truck catered a function at South African Country Districts Hockey Tournament. Melissa has found her comfort zone in her Food truck, she comes out her shell talking to customers and getting on with her business. Everyone was happy with her meals and we have to thank you for the training she received at 1000 Hills International Chef School. She was an absolute star and we are very proud of what she achieved and you should be too as a former student of yours. For a little business that started this year, she is achieving great things. Thanks you and your Chefs for all that you taught Melissa over the 2 years she was there. "As parents one always looks for the best for your children’s education, and after much research we decided that Chef Dixi would provide the hands-on tuition that would best suit our son. The excellent results achieved by the whole class certainly justified our choice and I would like to thank Chef Dixi and congratulate her on the 100% pass rate for the final exams. 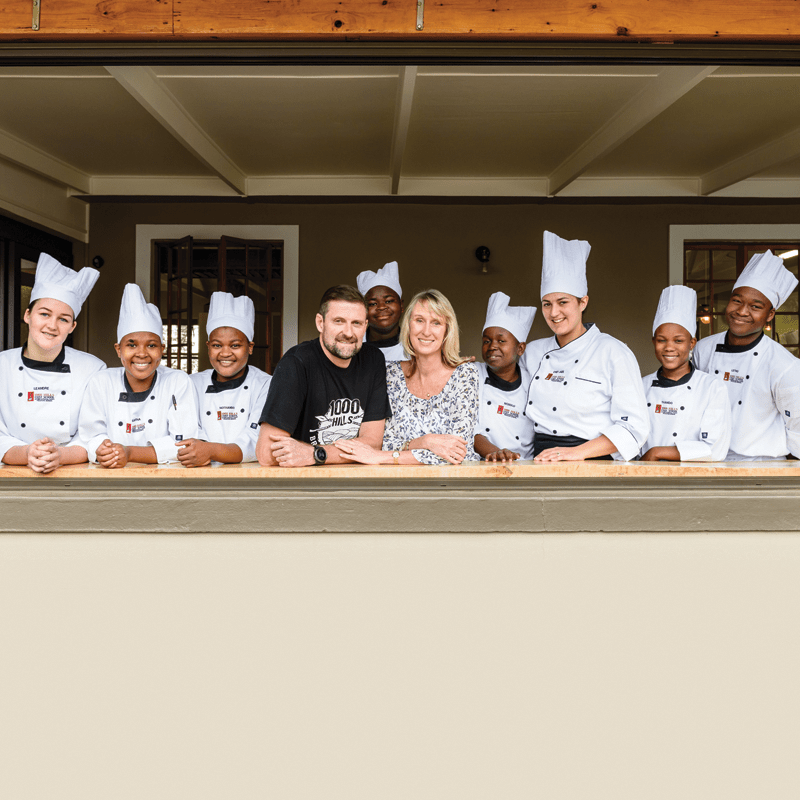 The experience and network of contacts of Chef Dixi has resulted in our son being placed at one of the top ten restaurants in South Africa, and he is very happy to say the least. 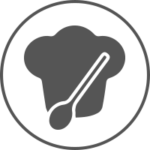 I would recommend Chef Dixi’s practical hands-on style of teaching to all aspiring future Chefs." "Hi chef! Just a quick update and big thank you! One of your boys is heading to Melbourne to compete in this year’s chef of the year award! And I'd just like to say thanks for a solid foundation and training! Wish me luck. I'll do my best to bring the trophy home. Here we go, research, planning - execution!"